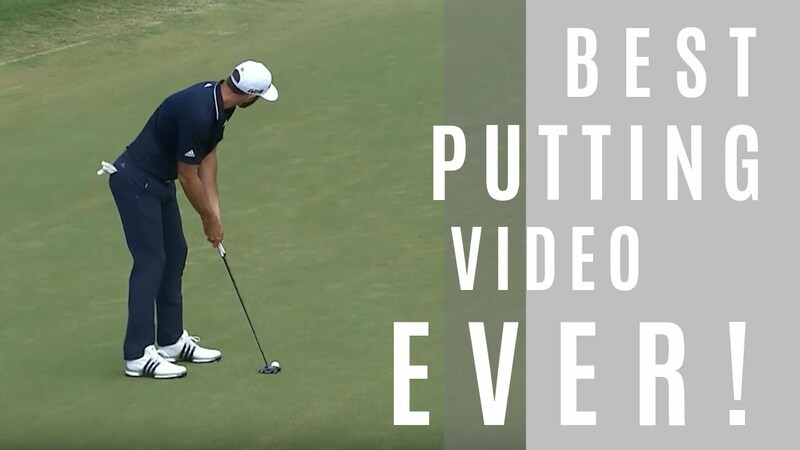 One of the biggest issues teachers see on the lesson tee is an out-to-in golf swing from a player who is trying to fade the ball, only to look up and see the deadly double cross! This gear effect assisted toe hook is one of the most frustrating things about trying to move the ball from left to right for the right-handed golfer. 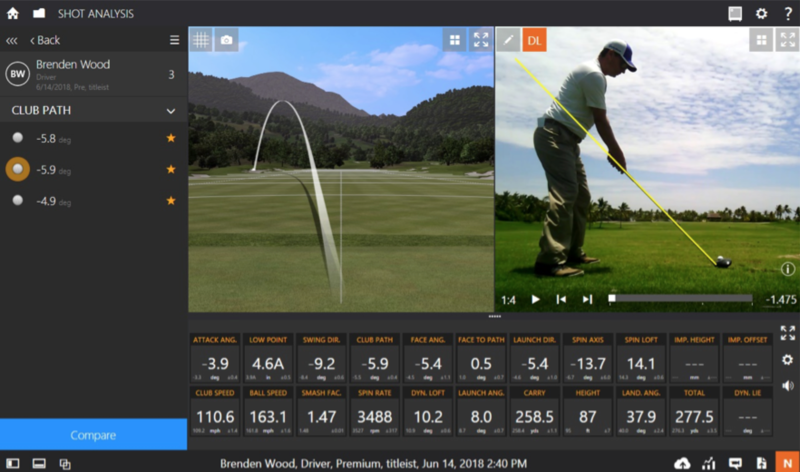 In this article, I want to show you what this looks like with Trackman and give you a few ways in which you can eliminate this from your game. Below is the address position of a golfer I teach here in Punta Mita; his handicap ranges between scratch and 2, depending on how much he’s playing, but his miss is a double cross when he’s struggling. This is what I see from people who swing a touch too much from out-to-in and try to hit fades: a standing up of the body and a lifting of the hands raising the Vertical Swing Plane and Dynamic Lie of the club at impact. 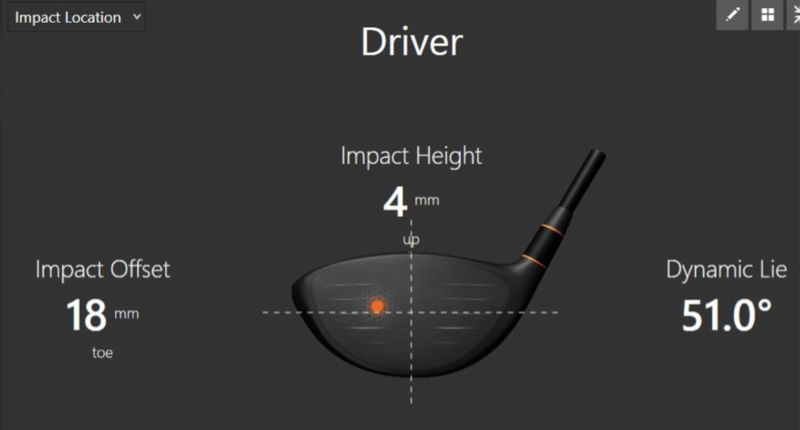 From address, let’s assume his lie angle was 45 degrees (for simplicity) and now at impact you can see his Dynamic Lie is 51 degrees. 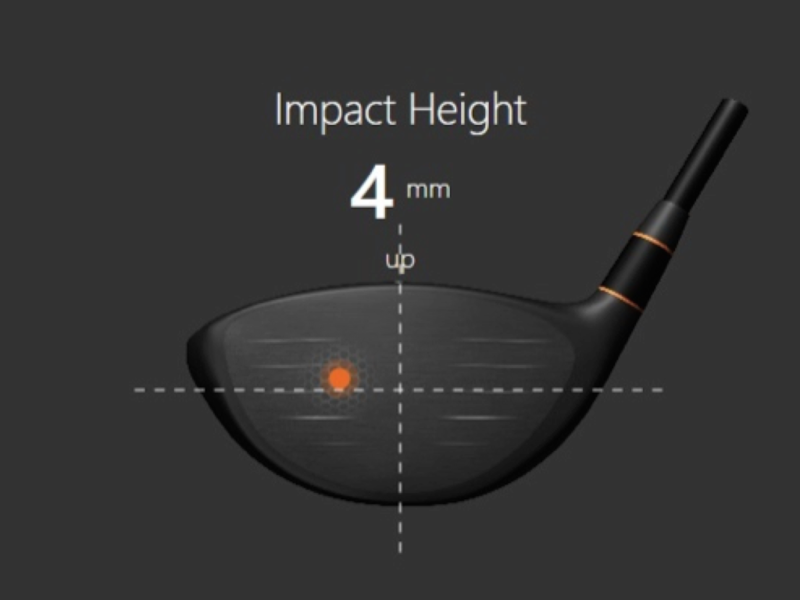 Simply put, he’s standing up the shaft during impact…when this happens you will tend to pull the heel off the ground at impact and this exposes the toe of the club, hence the toe hits and the gear effect toe hook. 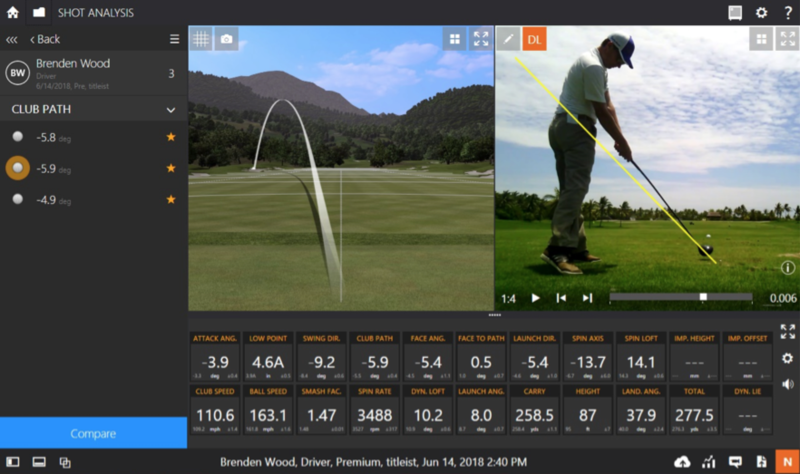 Obviously the key here is to make better swings, but remember to use technology to your advantage and understand why these type of things happen! In general players stand up to compensate for an open club face. They lack control of the face. The movement up is to try and square the face. Love to see the shaft and wrist angles in transition. I’d guess the shaft is very vertical and wrist is cupped. Also guessing hand depth is lacking in transition. There are 2 gear effects, a horizontal and a vertical gear effect on drivers with a bulge and roll face. Horizontal gear effect is optimal at the sweet spot and the vertical gear effect optimizes slightly above the geometric center of the face. As for Twist Face??? Didn’t he hit the toe, just because, you know, he hit the toe? He could make virtually the same swing but his hands are less than an inch in a different position and then hit the sweet spot. Why make such large changes to body movement to correct such slight an error in motion? Seems like a good way to clutter the mind and cause worse contact. In the two freeze frame videos of the man swinging, it just doesn’t look to me like he’s aimed far enough left with his feet or his hips, and so the plane doesn’t look correct, as he is really didn’t swing enough out-to-in with a slice move to try to fade the ball like Trevino or Nicklaus. He looks like he aimed square and swung down the line, straight on plane, may be slightly over the top if at all, to try to promote a out-to-in from high to low, but definitely not significantly out-to-in slice swing enough down his feet line to the left, even a la TW when he did that swoop with Foley. This is a bad example of a poor swing executed, but an impact location executed well to demonstrate a properly a gear-effect hook from a square position. Why didn’t he take a giant slice swing like a flop shot or bunker shot with the driver, an extreme slice swing, and still hit that toe area to demonstrate that the extreme slice swing can also offset a toe hit and actually make the ball go mostly straight? Good explanation, but not much in the way of instructing anyone how to go about the first two stages of your three stage process. 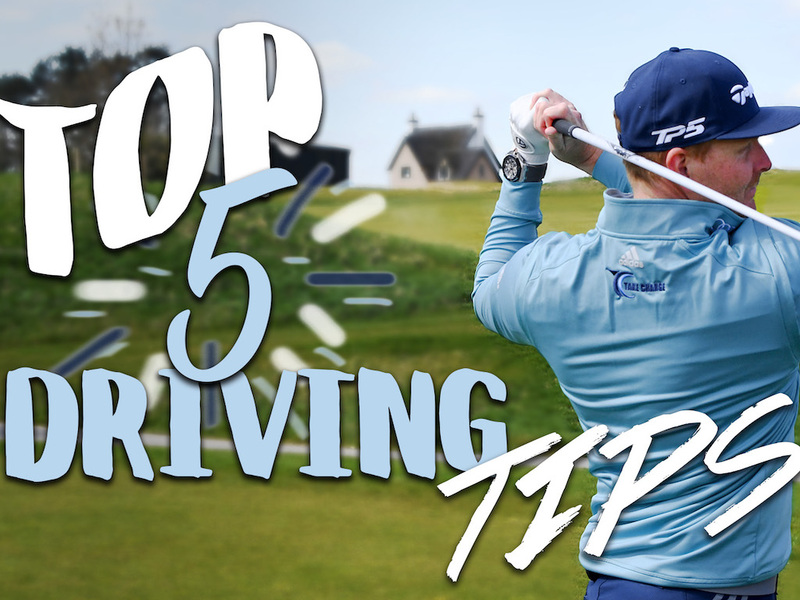 Stage 3 is kind of a no-brainer though anyone struggling with hooks has already pulled out the wrench if their driver allows it, but moving a weight on the bottom of the club isn’t going to stop gear effect if you still hit one out on the toe. Moving the weight will shift the CG and will indeed help change/reduce gear effect. No, trying to remedy the problem at the clubhead is insignificant if the wrists rise and the clubhead droops for a toe hit. The problem is in the hands and arms, not the clubhead. This is good stuff! Why do rec golfers instinctively tend to straighten up as they approach impact? How can we overcome our instincts and stay down into the swing going into impact? Why do the hip and knee joints extend as the club comes down? Thanks. 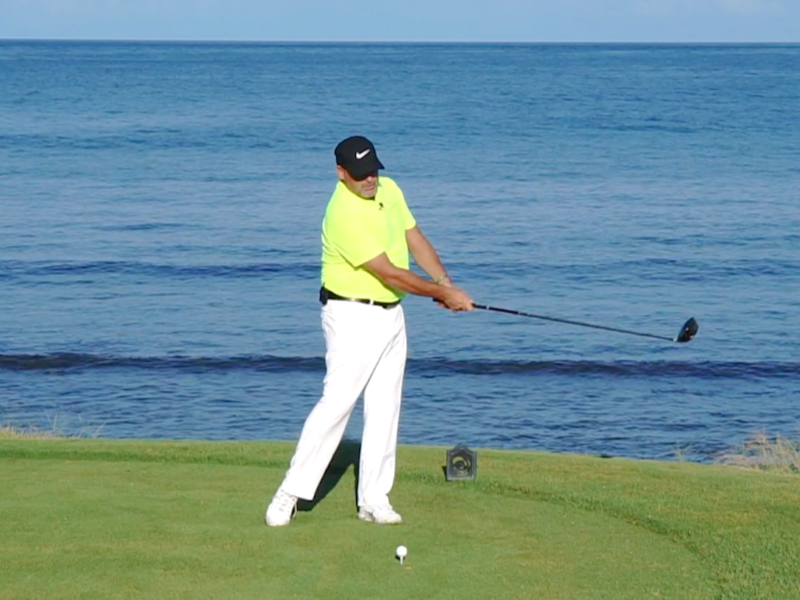 You should watch a few Wisdom in Golf videos by Shawn Clement. They are here on the site. Rec golfers stand up and extend early because they are too focused on *hitting the ball* when they should be focused on delivering the energy of a swing through the ball. Okay, but what is the physiological reason to instinctively ‘stand up’ when the clubhead is coming down to impact? “..focusing on delivering the energy of a swing through the ball” is the result of standing up. It’s not an answer to the problem. Telling a golfer to stop standing up at impact is complete rubbish. The subconscious cannot , Not do something. Golf instructors need to learn how the body maintains balance, subconsciously. Interpreting Trackman data to correct EE, is BS baffles brains.